At the Silver Spruce Inn, there are 97 guest rooms that come in a variety of configurations. From kitchenettes to large group full kitchen units your stay at the Silver Spruce Inn will be comfortable. With hot breakfast and a free shuttle from the train, the Silver Spruce in makes planning your trip to Glenwood Springs easy and affordable! 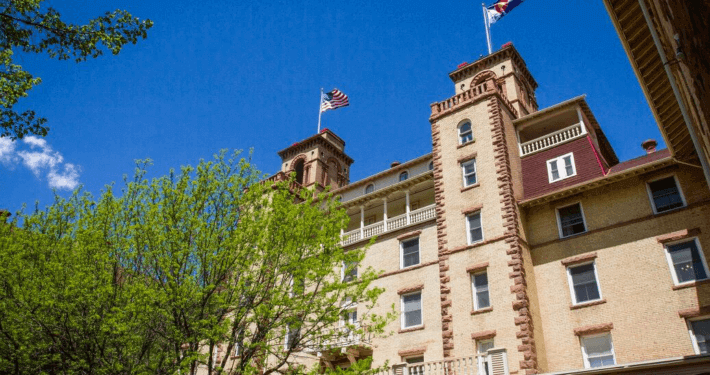 Make memories with your friends and family by experiencing some of the history and adventure that waits in Glenwood Springs – the hot springs, Hanging Lake, Yampah Vapor Caves, and Sunlight Mountain Resort! Traveling here by train? A free train shuttle can be arranged, inquire when booking. The Silver Spruce Motel looks forward to welcoming you to the Roaring Fork Valley. Group reservations can use the conference space free of charge, or it can be rented out for other meetings. Small to medium sized groups can enjoy a private conference space complete with a bar. Tea and coffee services are available, or outside catering is welcome.